The tee is positioned towards the back of a funnel of woodland. 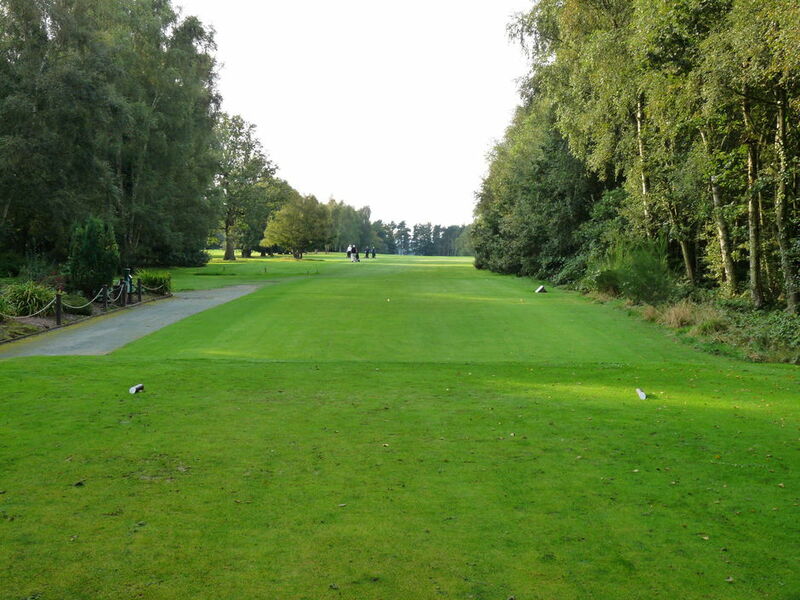 Its the longest Par 4 on the Course therefore another good straight positional drive is required. 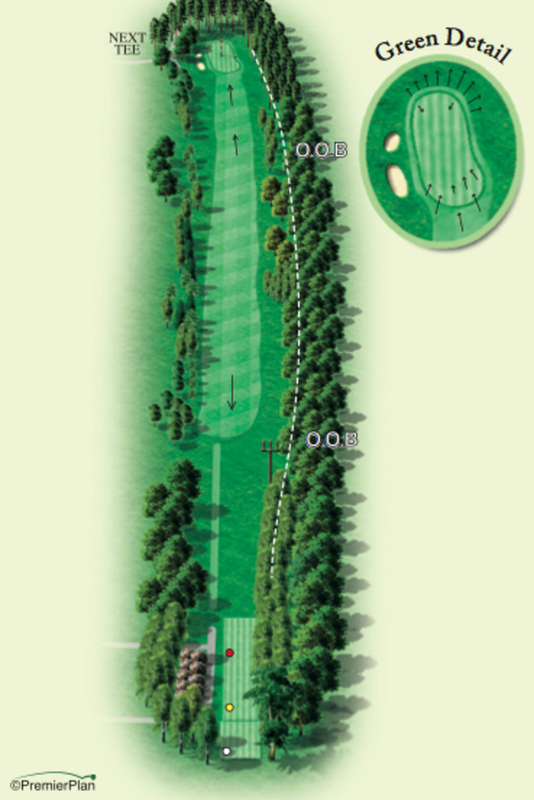 Out of bounds runs the full length of the fairway on the right side with trees lining the left side of the fairway. An accurate second shot is necessary to a green which runs slightly downhill. The green has two bunkers on the left and a shot too big will run off the raised level at the back of the green into a woodland area. Against the wind par on this hole is a good score.